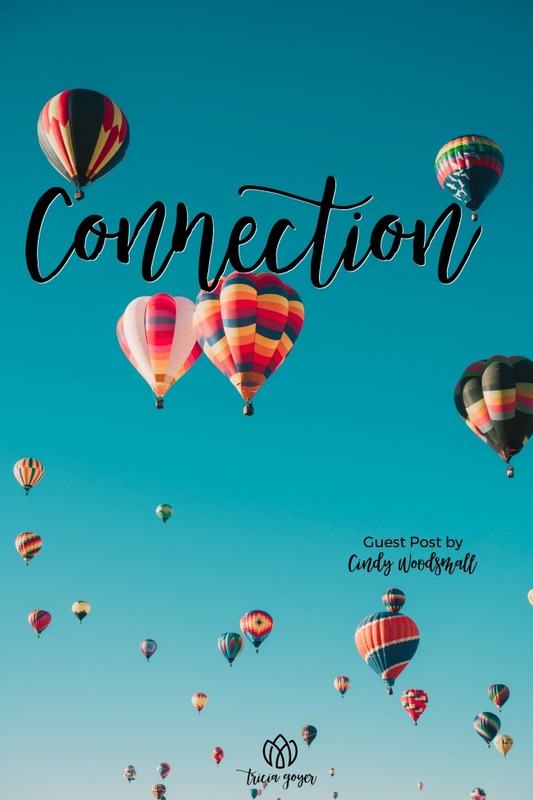 Cindy Woodsmall shares on connection. Connection…we’re hardwired for it. As a zygote, we connected to a uterine wall. Without that, we wouldn’t be here. Connection can be innate, like with the zygote, or natural, like a toddler, enjoying spring flowers, or it can be quite deliberate, like in a quest to know God or find a life mate. Newborns seek connection. Within a few days or weeks, they stare into the eyes of whoever is closest. As the baby grows, his or her way of connecting continues to expand. Even when we were toddlers and preschoolers, our soul began to connect with our understanding—learning who we are, what we do and don’t like, what makes us feel warm and secure or frightened or angry. 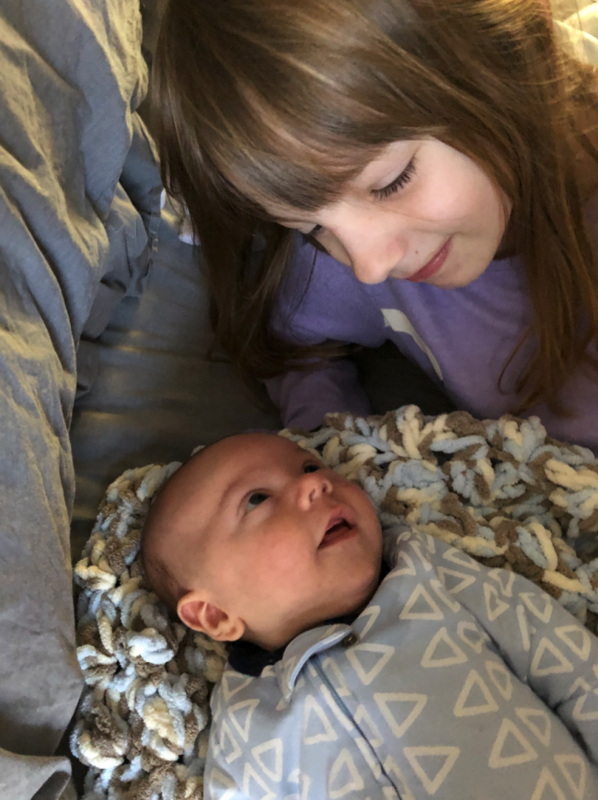 My oldest grandchild with her youngest brother. As we grew, we learned to make friends. Our experiences, good and bad, and our education became a part of us. Our lives are a continual journey of connecting—with ourselves (beliefs, mindset, and emotions), our family, *God, others, education, our talents, and gifts. It’s a lot to connect with! One of the first indications someone is dealing with depression is the often quiet and hidden desire to be left alone by family and friends—to disconnect—and the sense of detachment doesn’t stop with loved ones; depression slowly eats away at the joy and fulfillment in the things they once loved, disconnecting them to every good thing while they hide, escaping into something that puts a stronger wall between them and others. Connection is to life what milk is to a newborn. For writers, we spend endless hours connecting our hearts, minds, research, experiences, and imaginations into a cohesive story that we hope will connect with the reader. The most connected people are resilient and forgiving, but perhaps equally important is the most connected are good at helping others to connect to their world. Extraverted people will connect differently than those who are introverted, but the big question is: are we connected to what matters? Connecting inside ourselves to happiness and joy and any other fun emotion is usually easy, but we often suppress and deny the negative emotions, including grief. To move beyond emotional pain, we have to connect with it. We have to value it and let it have its say by hearing it and feeling it, by connecting with it. Life is all about connection. When we’re connected to what matters, we’re vulnerable and resilient in real life and in our writing life. *Some may not feel at ease with my listing of God after “ourselves” and “family.” Certainly, He is all around from before our beginning, and wherever love is, He is there, a part of every connection, but when talking of connection from birth onward, through our awareness and observation, it begins with our caregivers and ourselves and expands from there. 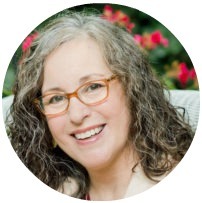 Cindy Woodsmall is a New York Times, CBA, ECPA, and USA Today best-selling author who has written twenty-two (and counting!) works of fiction and one of nonfiction. Cindy has been featured on ABC Nightline and on the front page of the Wall Street Journal and has worked with National Geographic on a documentary concerning Amish life. Wall Street Journal listed Cindy as one of the top three most popular authors of Amish fiction.